In January 2019, the Whalley Range based charity, Contact Hostel, received a grant of £1444 from the East Lancashire Masonic Charity. The Hostel provides a safe home for 27 young girls each year, between 16 and 19 years of age. Over 90% of the young people they help were raised in poverty, coming from areas of Manchester associated with high levels of social deprivation and unemployment. They are referred to the charity for a variety of reasons, including relationship breakdowns; fleeing domestic violence, oppressive family regimes and forced marriages; threatened abduction; and physical and emotional abuse. As well as offering help and support to move onto a better and happier future, through their ‘Good Memories Fund’, Contact Hostel help the youngsters to work through the gaps in their childhood by having fun days out, marking birthdays, Christmas and other celebrations. The grant from the East Lancashire Masonic Charity will be used to fund trips out that include visits to the cinema, Christmas markets, go karting, trampolining and Blackpool. We hope that this goes some way to create ‘Good Memories’ for these young women, to contrast with what may have been a sad and lonely childhood. 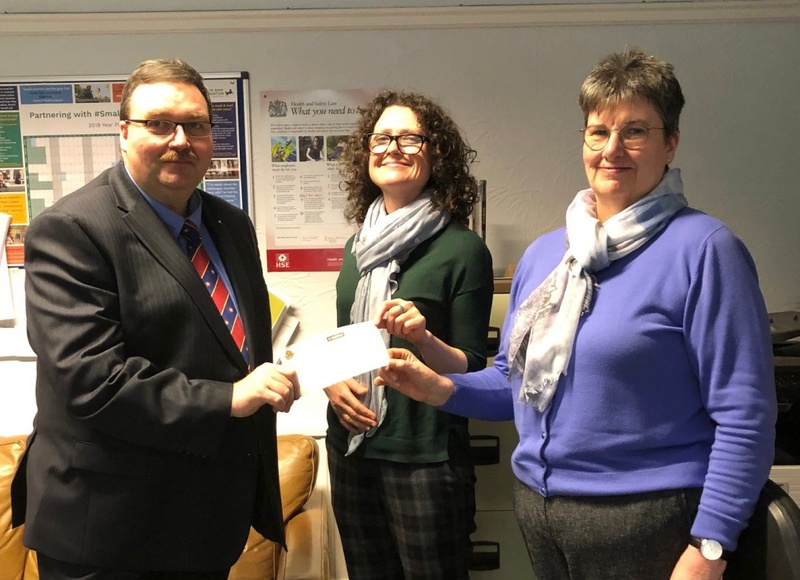 WBro Tony Stephenson, City Derby District Charity Steward, presented the cheque to the Chair of their Trustees and Support Manager, on behalf of the East Lancashire Masonic Charity.